CLEVELAND, Ohio — The Cleveland Browns did what was once unthinkable. They won a football game. The No. 1 overall pick from this year’s draft took to the field to replace the injured Tyrod Taylor, and his game-winning performance sparked wild celebrations at FirstEnergy Stadium, in the streets of Cleveland and, of course, all over the internet. Will it be the only win of the season? Mayfield doesn’t think so. “It’s not the only win we’re going to celebrate,” Mayfield said after the game. “It’s a building block for us. Any win feels great. It is hard to do. Having success at this level is hard to do. The best part about it was that we were here at home. It was just Browns coach Hue Jackson’s second win in 35 games and will go someway to easing the pressure on his position. 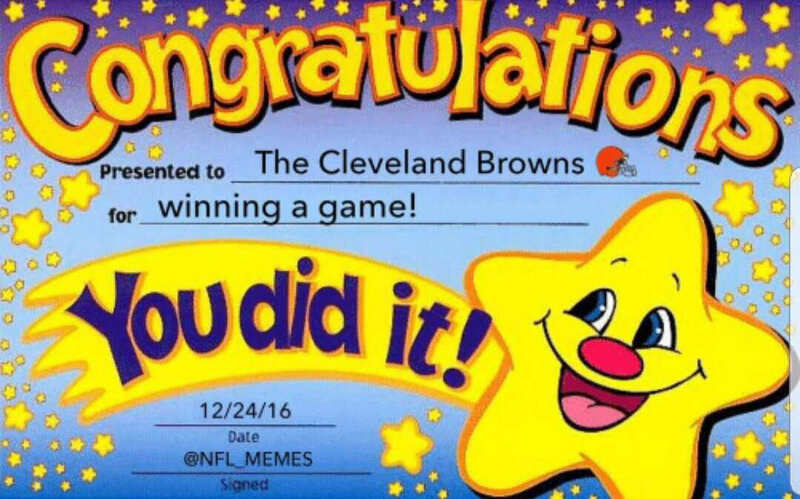 With the W, Cleveland improves its record on the season to 1-1-1. Where’s the Browns opossum now?